The Studios in Ground & First Floor include bedrooms that can accommodate up to four (4) persons. Furniture are of unique design, using iron & wood. It is independent from the main unit. It is ideal for couples. "The flower of the east!" About usLicensed by The National Greek Organization : # 08.28 Κ11.2Κ.05368.0.0 (2 KEYS). Zakynthos, "The flower of the east", "The one and only" as it has been called, is one of the seven islands in the Ionian sea. Here, in a quiet, bright green suburb situated in the southern outskirts of the town called Kipi, visitors can find the studios owned by Pettas' Brothers. 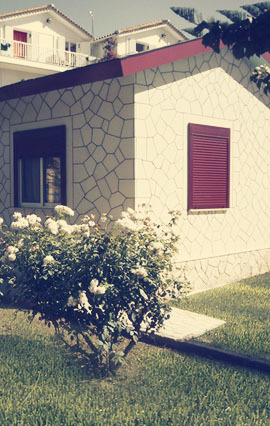 Our unit consists of independent studios of 30sm each, with a veranda looking out on a trim garden. The studios are fully equipped, each of them offering individual bathroom, a cooker, a fridge, kitchen utensils, as well as a bedroom for four persons. Within 800 ms of the centre of Zakynthos main town, Pettas Apartments offers self-catering accommodation with a furnished patio offering access to the landscaped palm-tree garden. Free Wi-Fi is available throughout the property. 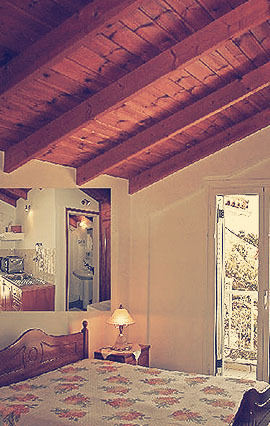 The air-conditioned apartments and studios at Pettas are tastefully furnished featuring iron beds and wooden ceilings. They offer a kitchenette with small dining area and a satellite TV with the possibility of watching movies through a USB port. Units in Ground & First floor include a bathroom with a shower cabin. The complex has a shaded stone-paved terrace with BBQ facilities and a traditional oven, which also features tables and chairs. Free parking is available on site. Pettas’ staff offers free 2-way transfer from Zakynthos Airport located 2 km away. Guests can visit the closest beaches at 2.0 kms. Taverns, super markets and a bus stop can be reached within 200 ms. In the outside space surrounding the studios, our guests can find our well-looked-after garden (about 1500m)and a spacious parking place. Sitting in the shade, they can enjoy peace and quiet, a cup of coffee, a game of backgammon, in other words, the kind of hospitality that only the Pettas' Family can offer. What's more, on Autumn days guests can enjoy themselves by the fireplace in a large T.V. room available. Our well-looked-after small family business cares for the daily service in all the studios. Also, a privately-owned mini-bus is available, covering the guests' basic needs for transport to and from the studios. 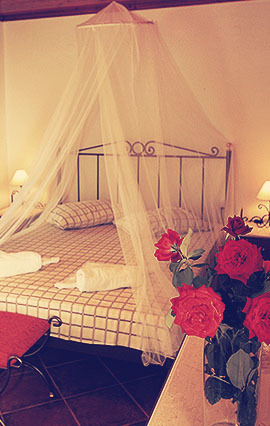 Bed linen is fully provided by Pettas twice a week (7 nights)! Room service is on a daily base for all the Apartments. Taverns, restaurants and mini markets are close by within a radius of 200 meters! Night clubs ,discos and bars can be found in a distance of 3 kilometers. You can rent motorbikes, cars, or use local buses for your transportation . The Bus stops, are no more than 200 meters from the Apartments . Beaches start in a distance from 2 kilometers up to 25 kilometers. Using motorbikes or cars, you can be at the beach in 5 minutes minimum to 45 minutes maximum! Kipi (Garden) suburb , where we are situated , is 2 kilometers from Zakynthos Airport, 2 Kilometers from the Town’s General Hospital , 600 meters from the closest Pharmacy. We are associated with all travel agencies & we can provide tours and cruizes around the island. We provide rent of cars and motorbikes. Rent car & motor agencies can be easily found in Zakynthos town. We make sure that we provide quality service for all our guests aiming at offering warm, unforgettable hospitality to everybody that comes to stay with us. The Rental period is on monthly or daily base. Room Service is provided by Pettas Family on daily base ! Access in all floors with elevator. Pettas Apartments are open year round.